Not sure what type of RV you might be interested in? Take a look at our Types of RVs page to get an idea of what might be right for you. And when you're about ready to make that next RV purchase, check out our Things to Think About When Buying an RV page. You might also enjoy our Tips on Getting the Most Out of Your Visit to an RV Show! 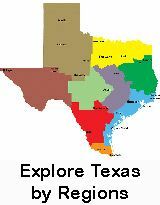 For a list of RV Shows outside of Texas, please visit our #BeyondTX: US RV Shows page! See Our Video and Write-Up About the 2018 Houston RV Show With Tips! See Our Video and Write-Up About the 2018 Austin RV Expo With Tips! Please share your pictures and comments about your favorite RV Shows in the RV Texas Y'all Community on Facebook or in the RV Texas Y'all Community on RVillage. Not a member of one of our communities yet? We'd love for you to participate! And, of course, they are absolutely FREE! Join us to share your experiences and interact with others folks in the RV Texas Y'all communities. Want more info? Learn more about our Facebook Group!